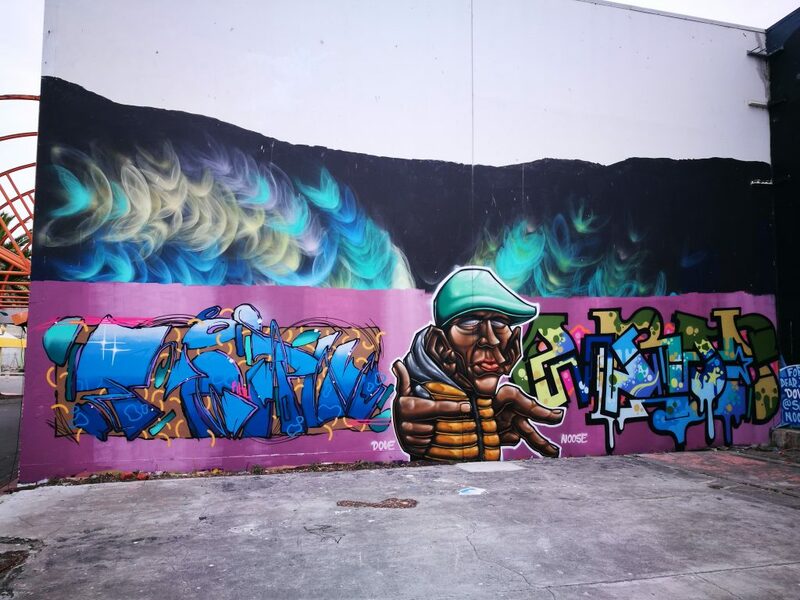 Let’s start by talking about the ‘kiwiana’ mural you completed along the Gap Filler ‘Roll with It’ pump track on Tuam Street. How did that project come about? 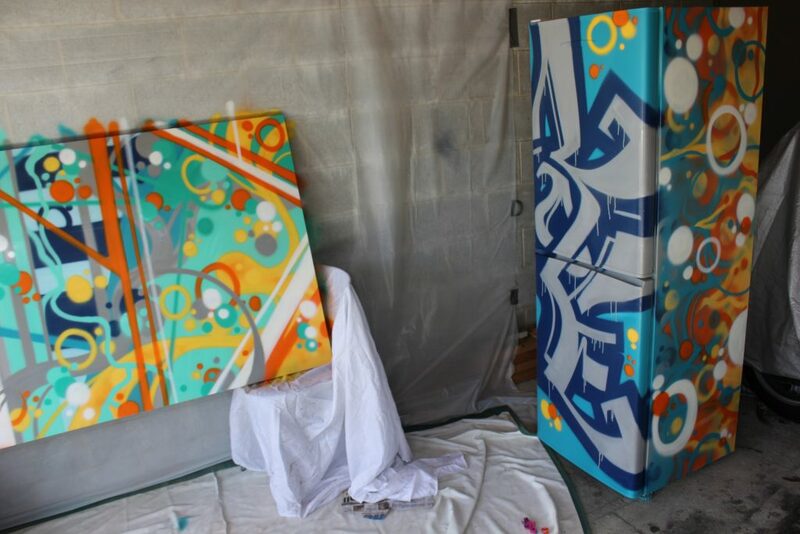 Do you approach graffiti pieces with that openness to change as well? When you are working on a piece, do you have a strong idea of how you want it to look, or are you open to change as well? In terms of proportions, even with my graffiti, my work is quite mathematical. I guess it ruins some of the natural flow when you explain it, but I’m literally looking at the first line I did on the wall and following it from there. I’ve got maths going in my head, like, that width between each line is twenty centimetres, so I should make it about that the whole way through. I’m stepping back and judging widths of the letters themselves and the space between them along with the thickness of each individual line itself. So, I’m actually thinking about how certain attributes that come later will affect the piece as well, especially adding shadows, it’s something a lot of people seem to struggle with, but there’s almost a mathematical formula to how a piece sits on the wall. I also use shadow to help add dimension to my pieces rather than one flat image sitting on a wall, so it is a series of intertwined connections overlapping and underlapping each other. With drop shadows and those types of effects, it is literally mathematical, right? It is about the angle created by the light source, the angle you are trying to project and those types of things. It’s also something where you can fall onto either side, though, right? You can be looser, more chance driven, and all about how it looks and feels, or you can be more precise and adhere to spatial relationships and certain effects that you are trying to achieve. 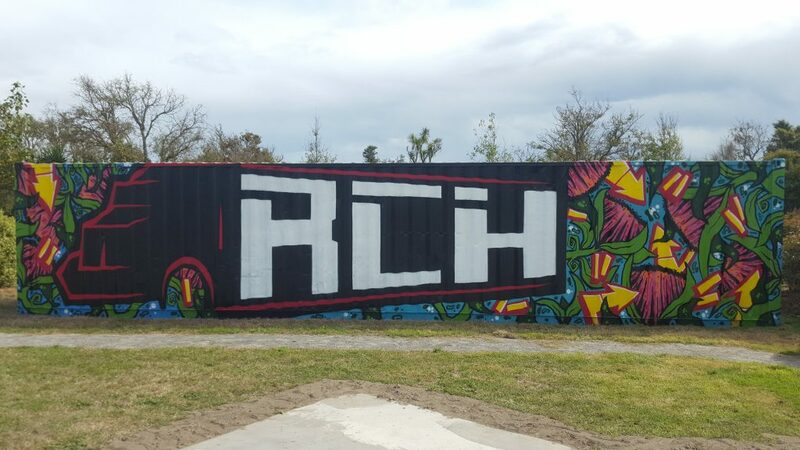 Your graffiti letter style is kind of angular and quite strong in its line work, do you that comes out through that kind of mathematical approach? Like you said, you can go either of two ways with it. I’ve probably wished I was more comfortable doing a more natural approach, but like I was saying earlier, my pieces are very controlled. To add even more mathematics and numbers, I’m also always trying to add my work into a certain slot of where I feel comfortable. Like, I want to do pieces at the moment, I need to do everything in my head that justifies it being a piece, to then fit into that slot where I can be like: ‘O.K., now I’ve done forty-seven pieces.’ If it’s missing certain elements to it, then I can’t class it as a piece. So, there’s a classification process going on in how you are building your body of work? Is there an end goal in mind then when you are taking that approach? Does it give you a good sense of how far you have progressed already? Does it become obvious to you? That’s a really mature, thoughtful approach. Was that compulsive element, repeating a tag or developing letters over time, was that always one of the attractions of graffiti for you? And how do you relate that sort of approach to commissioned projects? Do they require a slightly different approach? You could definitely say I am a bit obsessive compulsive and that definitely is evident in the way I paint. With the commissioned work, I think as long as you get the O.K., I’m a lot more open to switching things up. The pump track mural, I did control that a lot as well, specifically to ensure it had that more comic effect, with very bold colours. There were a lot of parts, especially the birds, where I would have liked to have thrown in more detail, but it would have taken away from the rest of the mural. Although I knew there was more that I could add, I had to control myself and let it be what it was. But now, after doing that, I’m definitely a lot more confident in being able to wing it a bit more, to chuck my own flavour in there. There are definitely challenges that come with painting concepts and ideas that I have never really attempted on paper, let alone a wall. Yeah, absolutely, especially with that mural, because I was working between a lot of other commitments. There were a lot of hurdles I had to get over, so it ended up taking a month and half of on and off days. So, yeah there were a lot of sleepless nights thinking about something I really wanted to do before I forgot about it. I was borrowing my friend’s ladder, and near the end I just got him to pick it up so I couldn’t really do anymore work without having to organise more stuff. It was almost a case of someone having to just take the can out of my hand and be like, that’s enough, it’s’ done. 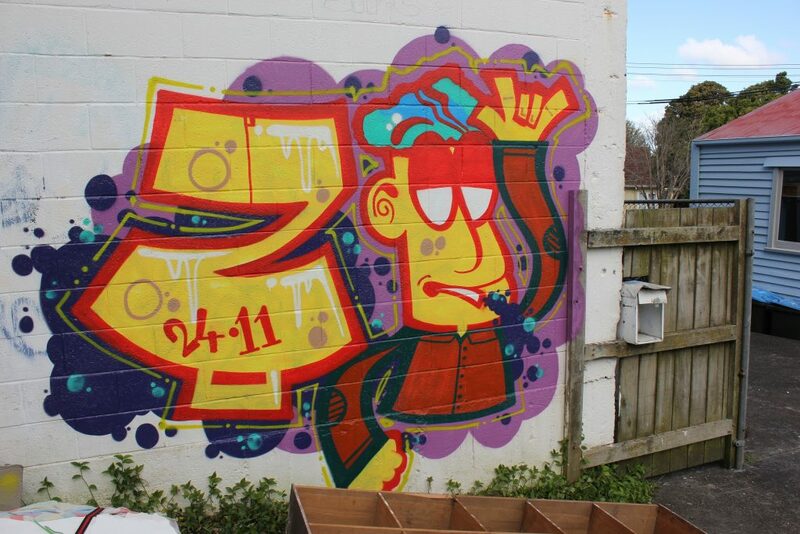 Yeah, well, graffiti is incredibly speed-based, especially in New Zealand. It is almost frowned upon to spend any longer than a day on a piece, although, in my opinion, if your piece needs three days of work, then put three days in, make it the best possible. Some of that comes down to the spot though, right? It’s definitely tossing it up a little bit. But yeah, with my pieces, especially doing the fill and the initial outline, I am sweating trying to just get it done, to get the piece up on the wall. Then I will spend the same amount of time just tidying it up, stepping back and looking at it. My main goal is to try and finish it before everyone else, so I’ve got that five or ten-minute window of being able to step back and look at it. I took a similar approach to the mural as well, but with no experience or any time frame to go off it was really hard for me to tell what speed I was meant to go. You mention the New Zealand scene as a whole, you are based here now because you are studying here in Christchurch, but you are from Auckland, right? So, growing up in Auckland, what influences were the strongest impact on you growing up? What got you involved? 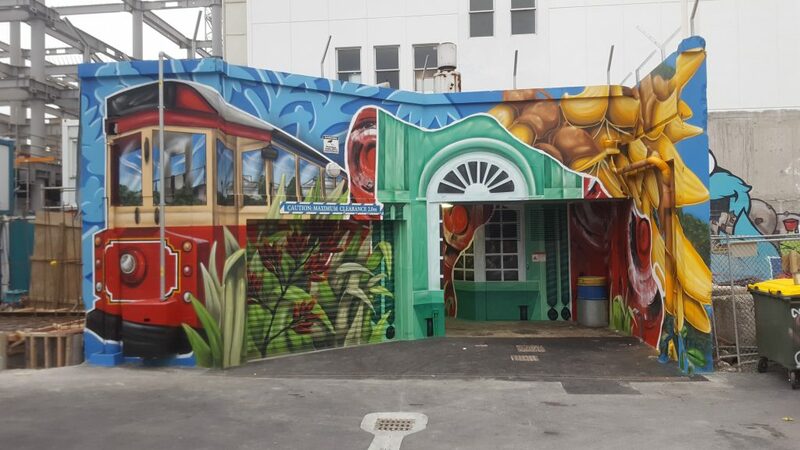 Auckland is so different from Christchurch, what were the biggest things you noticed coming down here? I do contradict myself quite a lot, and I still feel a lot of the different moods of graffiti. I think it’s important though, it can be very restrictive sticking to one set of views. But, generally speaking I like to paint for the act that I am making the wall look better than it was. It might not be publicly appreciated, or aesthetically pleasing to everyone, it’s still graffiti, but its better than the tagging that was on the wall before. This is also my general argument or, I guess, defence if I was to be approached by the public. A fence is an object that defines territory, and as such it invites responses in some way, right? I’m not saying a fence deserves graffiti, but it does say: ‘this is my space, keep out!’ So, both because of that symbolic presence, as well as the physical form, something is likely to end up on them… it’s almost inevitable, even if it is not necessarily pleasing. [American graffiti historian] Roger Gastman has written that at its core, graffiti is about young people exploring the city, and as you say finding that freedom, those boundaries seem to vanish. On the flip side of that, how did you make the decision to take on commissioned opportunities? Were you influenced by what other people were doing? Did it germinate in Auckland, or was it more a case of the opportunities in post-quake Christchurch? Was it something you always thought you might do, or was it something you came around to? Like I was saying before, I contradict myself a lot. I go between wanting to be a reclusive vandal and wanting to screw society up, to wanting to make society better, make it more beautiful, be a part of the wider community, go to events, talk with people. 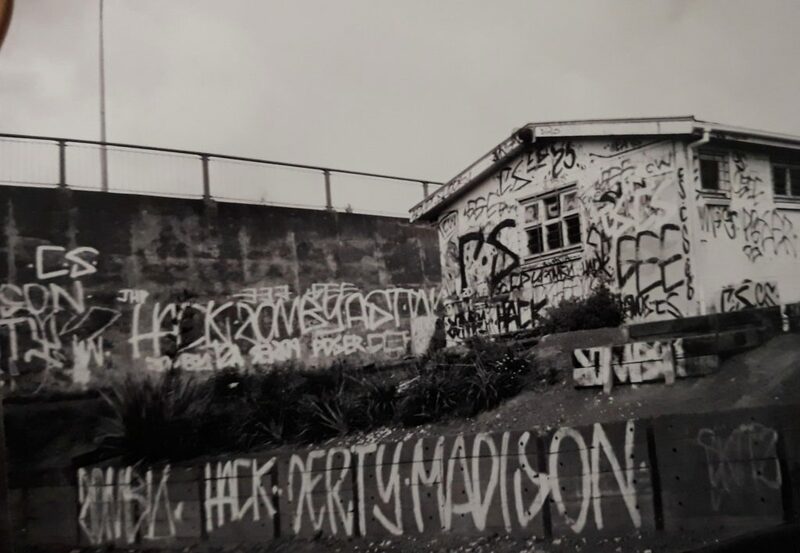 In Auckland, I guess, I got into the concept of tagging, not that I ever thought I would do it, but my older sister, who is in her late thirties now, a lot of her friends were ‘gangsta’ taggers, they don’t tag anymore, they have all moved on to actual serious crime, a lot of them are in jail now. 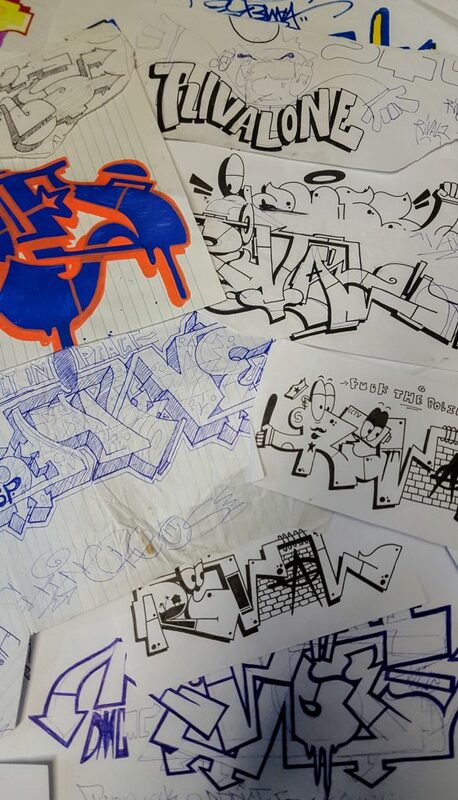 But I was opened to that at a young age, and a lot of them were amazing graffiti artists, classic old school wildstyle painters. I can remember being eight years old, and trying to copy a drawing I had found, and I was just drawing heaps of arrows, and being like, how do you do this? That lasted maybe a couple of days, then you move on to the next little game or whatever. But then I revisited it as a teenager. One night I was staying at my mate’s place, and he was like alright, we’re going tagging. I was like, what’s that? I thought only people from the hood did that? Which is a racist view, really, that only poor neglected kids go out tagging. 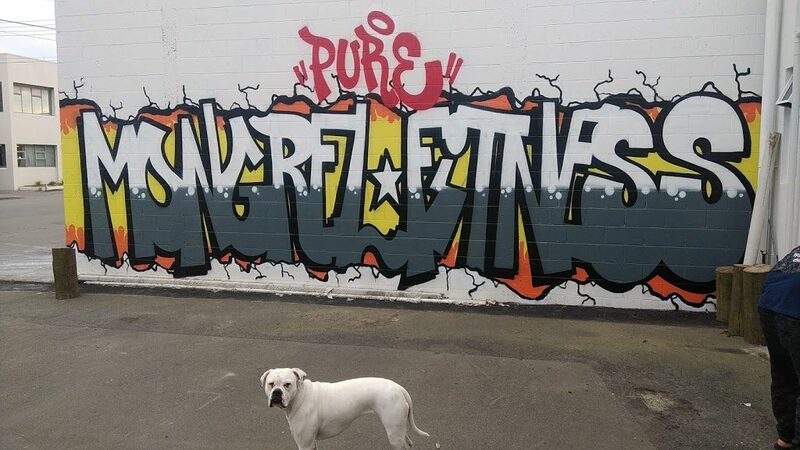 Why would a proper citizen, from a private school, who has the opportunity to be successful, start tagging? But ever since then, I caught the bug for it. What are your next goals? You have talked about this cataloguing approach to pieces, and this increasing commissioned work, is that just a case of balancing the two, or does one become a focus? The penny doesn’t necessarily drop quickly, right? 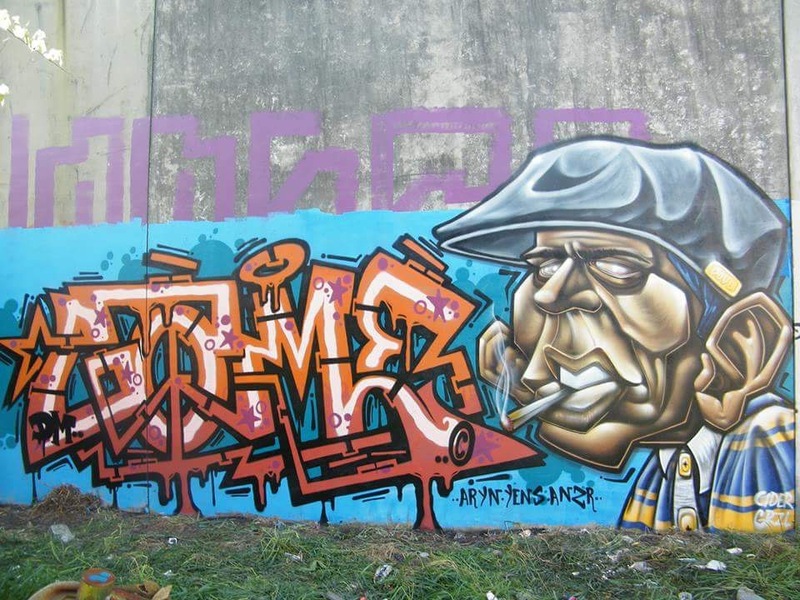 Did your graffiti writing background influence your decision to go in that direction? I’ve always believed that any education programme should have some moral or ethical philosophy component. If we had more people who understood, not only their rights and how the justice system works, but who also have the ability to make up their mind about what is morally and ethically right, it would go a long way. So, when you finish, will you try and connect those worlds? Thanks man, it’s been really interesting, I look forward to seeing what comes next for you… Do you have any shout outs? 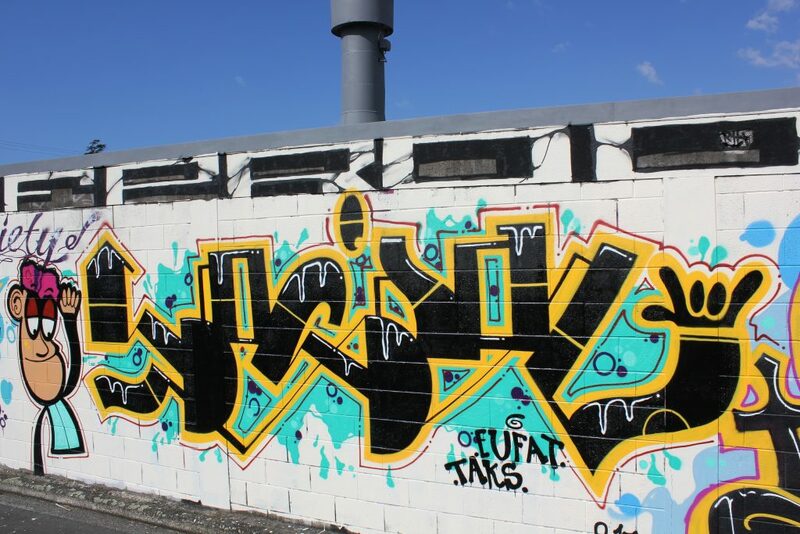 Yeah, shout out to Watch This Space obviously and Gap filler, also my boy Dove, the FOK and AOC crews and anyone in Christchurch that is doing their thing at the moment. And thanks to Cent for documenting the scene and helping out with some photos!